Look what I got yesterday!!!!! An whole pile of primo catnip. And I cannot see Harley anywhere around to ruin my good time! I do enjoy eating catnip. Except it sticks to my tongue sometimes. Closing my eyeballs and savoring the 'nip! Now I am in a goofy mood. I guess this is another Crazy Face! I am so relaxed, I do not even mind showing you my catnip covered belleh! Here is a movie so you can watch me in action with my pile of catnip! That movie is a lot of fun, Daisy! But where, exactly, was Harley? That crazy mixed up stoned cat. I have found myself powerless not to caption a few of Daisy's pictures. I will give you full credit if I post them on my site. Hope that is okay with you. That is a big pile, surprised Harley didn't come by. Looks like you really enjoyed that cat nip! We don't get it very often. That looked like fun, Daisy... Look like nip makes you happy and silly! What a big pile of nip... I didn't get to see the movie. It didn't work on youtube for me either, but I'll try again... Have a great day. Hey Daisy can you send over a bit of that so I can make it through the work day? Love your faces! How did you manage that without Harley?? Daisy--you should ask your mommeh for a real live catnip plant for the house. The green stuff is EXTRA good. Daisy, we think you really like that Nip. You were having such a good time with it. Some of us like it but not all of us. We actually have some nip grown in our garden. That is great stuff. Hope you have a fun day. I approve of your ability to enjoy the nip. Very thorough. Oh wow! Daisy, you hit the nip jackpot!! Daisy, how did you manage to evade Harley? Did you lock him in the bathroom again? 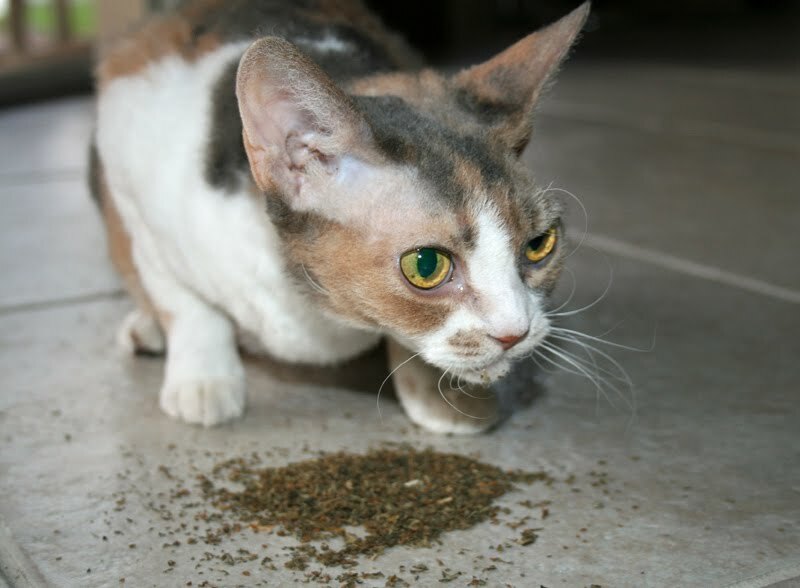 That sure was a big pile of nip ! How on earth could you keep Harley away from that ?? 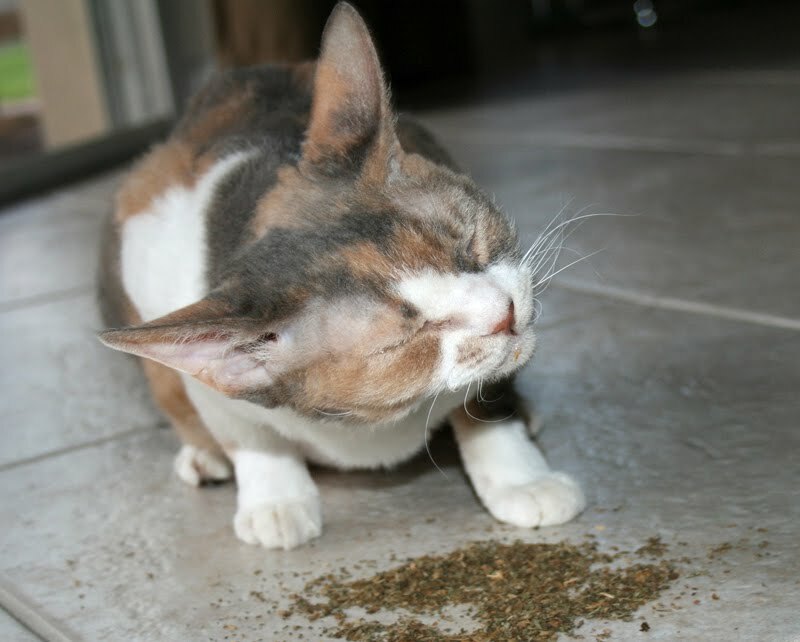 Yeah for catnip in any form!!!!!!! Andy and Shelly love it in any form, but Sammy only gets affected by it when it's live and growing in a pot plant. That looks like it was some primo nip! I love the dried stuff the best, but Kit loves the live plant better. How did you keep Harley away from your stash? You're rally lovin' it! Looks like a good batch! Ha!! You and me posted a movie on the same day! I wondered where Harley was too! And so do Aswell and She! A nip fest all to your self! How fun and you did not share. those photos are GREAT daisy!!! we love the tongue one!!!!! 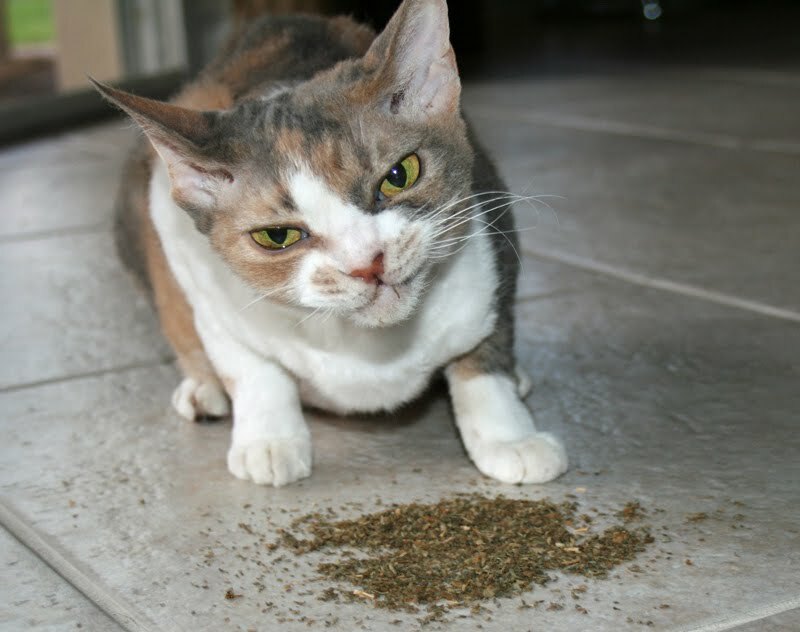 You look like you are having a grand time with your catnip! Good for you! Ha ha, Daisy! It's funny to see you actin all crazy! (i made a rhyme!) Purrs pretty gurl! Hey Daisy!! Love the way you took a little time out to clean yourself. How wonderful you got to enjoy your nipfest without that pesky Harley getting in the way! That must be really good nip! 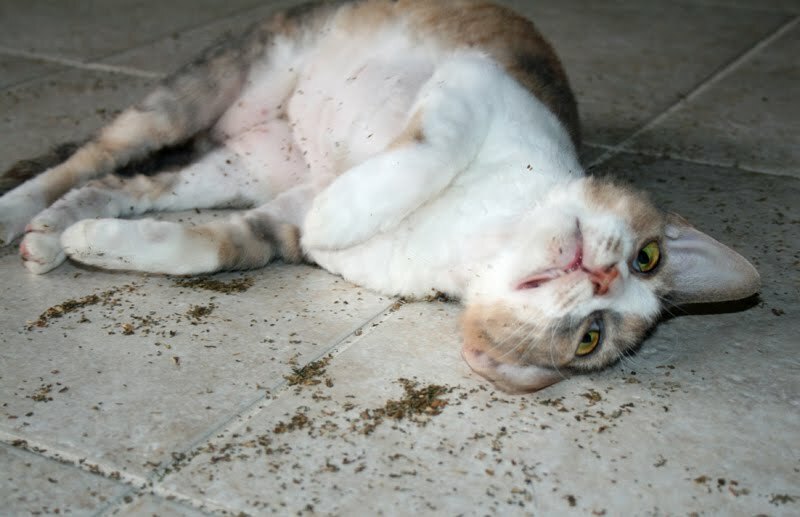 Daisy, you get pretty crazy on nip! We enjoyed seeing your nip induced antics! You certainly had a lot of fun with your nip Daisy! We are glad Harley didn't interrupt you! You sure are enjoying that nip allright! That's a cute video. We've been trying to talk our Mumsy into experimenting with video. We wanted some nip, but she's worried we might get even more affected than usual in all this heat! my Harvey said to say hey share some of that with me. Daisy - do you need an intervention? nothing like cleaning your privates when you're high Daisy! MOL! That must be some primo nip because your really enjoying it!!! 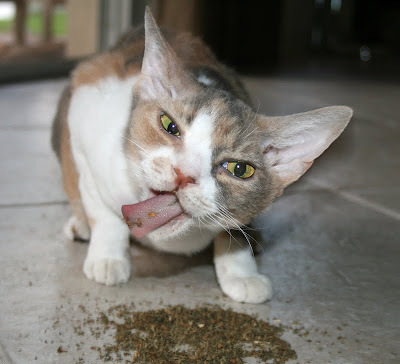 Sure you enjoyed that catnip! Angel likes to eat catnip, too. The savory face is priceless. Daisy, we are happy that you got to enjoy your good times uninterrupted!